For those wishing to register with the practice please call on 0330 123 9134 and speak with a member of the team. 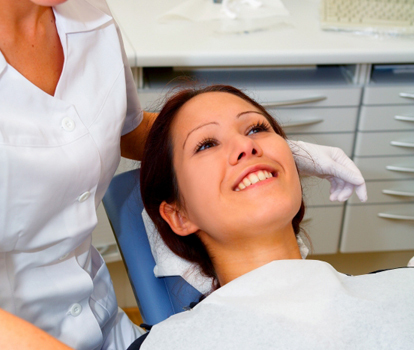 It is now possible to make an appointment on a private basis to see our Hygienist from £45.00 per session. This includes airflow treatment which is an aesthetic polishing treatment that works in minutes. The NHS Liverpool Road Dental Practice aims to provide first class dental services to patients who come from the Stoke-on-Trent and Staffordshire area. Although the practice is centrally located within the ST4 postal region, we can accept patients from any area within Staffordshire and the practice is easily accessible from a number of areas across Stoke-on-Trent and including Newcastle-under-Lyme, Hanley, Burslem, Tunstall, Fenton, Longton, Stone, Stafford and the Staffordshire Moorlands. All staff have had an advanced DBS check and are appropriately trained when dealing with all aspects of patient care and are all trained to provide basic life support in the event of any medical emergencies.